Leading Manufacturer of wooden base skids from Pune. 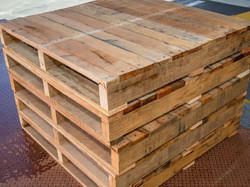 We produce an assortment of Wooden Base Skids which is made from high-grade quality to offer durability and efficiency. These wooden base skids were initially demanded by our clients in order to get their processing machine work smoothly such as fitting, testing, and assembling.